They are here. They are big. They are awesome. Outstanding news–the newest On Purpose Journey Inc. challenge coin is in!! 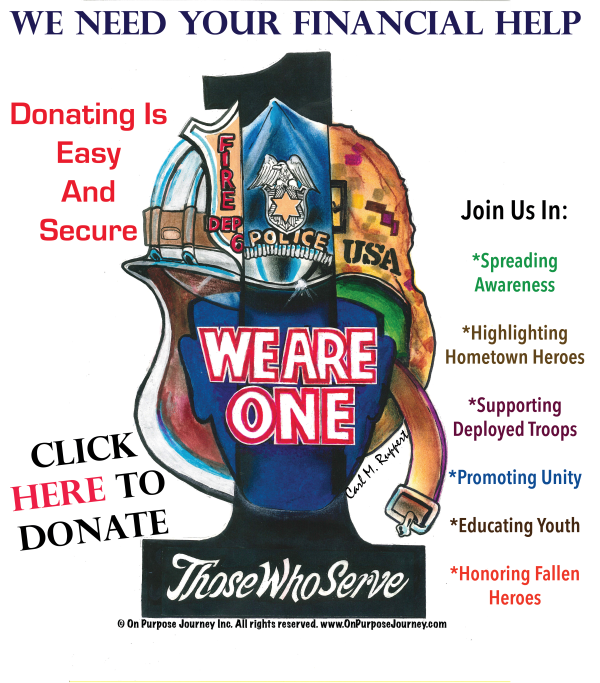 All profits support firefighters, EMS, law enforcement, K9 teams, military, and veterans through On Purpose Journey Inc.
A huge THANK YOU to our artist, Kenny Powder Matlock, who created the front and back designs. Message me for any questions!! Have an excellent day and thank you for your continued support–we could not make a difference in the lives of our heroes without you!